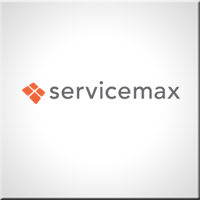 ServiceMax from GE Digital provides a suite of Salesforce applications, optimised for Salesforce1, to deliver end-to-end field service management on a single cloud platform. We are a ServiceMax implementation partner for the UK and European markets. We use our experience across the Force.com platform to make sure your transition to ServiceMax and Salesforce1 gives you the best possible return on investment. The Westbrook field service team have deployed solutions for some of the largest service departments in the UK & Europe – providing a blend of industry expertise & specialist technical knowledge. Whether you are new to field service, already using paper-based work order management, or using your own in-house IT systems, our team will guide you through the implementation of a Cloud field service solution. Connect your service teams to your CRM & back of house systems in the field, allowing data entry in the field – allowing work orders & comments to be completed on site. Streamline the entire work order process holding all data in a single application accessible in the field – while removing carbon copies & reducing manual errors. Keep track of each individual customer’s service contracts & warranties, allowing dispatchers, engineers & managers to view the service level each client is entitled to. Utilise your workforce more efficiently, assigning the most effective team to each work order by building schedules that incorporate engineer tools, skills & location. Gain better visibility across field service operations, tracking key performance metrics & statistics & presenting this information in easily accessible dashboards. Deploy reverse logistics systems that provide better visibility of stock levels, reduce the inefficiency created by unnecessary orders, and track excess or ineffective parts. Build a network between your devices, installed equipment & systems. Create systems for preventative maintenance, increasing your customer’s uptime with your products. Direct your field service teams to their location effortlessly, while building schedules that minimise travelling time by grouping similarly located jobs to a single technician. 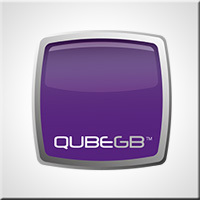 We worked with QubeGB to create a mobile workforce management system, using the Salesforce Service Cloud and ServiceMax.